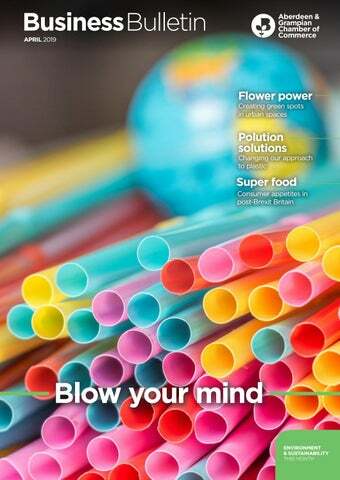 Blow your mind ENVIRONMENT & SUSTAINABILITY THIS MONTH 1. ON THE MOVE	Who is going places in the region? Creating a sustainable future THE Regional Economic Strategy provides a shared vision and ambition for the future to align commitment, investment and action in pursuit of its economic growth and diversification objectives. Its co-signatories are Aberdeen City Council, Aberdeenshire Council and Opportunity North East, although the strategy is influenced and driven by a wider collaboration, including a range of national partners with the Chamber playing a key role in the authoring and delivery of the refreshed action plan published late last year. The vision is one of economic renaissance that results in a diversified and resilient regional economy. The plan is built around the four pillars of innovation, internationalisation, infrastructure and inclusive economic growth and it’s the latter two that I will focus on in keeping with the theme of this issue. What do we mean by inclusive economic growth? A broader and more resilient economy will see companies growing through investment, generating high-value products and services. This will create new employment opportunities in the region across all sectors and enhance productivity, enabling as many people as possible to benefit, including groups that currently face barriers to accessing high quality and productive jobs, reducing inequality across the city region. This will require the development of the right motivations and skills across all age groups, with Developing the Young Workforce playing a key role. In turn this will assist in retaining the best people here and attracting new talent from outside the region; one of the objectives of the regional narrative project. regeneration of our northern towns, will provide the necessary economic catalyst and contribute towards our proposition to attract the investment we need to make all this happen. Sustainability is a key theme within the action plan. The region’s natural assets and clean environment are also its economic assets and therefore must be safeguarded to support our sectors, particularly tourism, food, drink, agriculture and fisheries. We have exciting opportunities associated with carbon capture and storage; and energy transition as the oil and gas industry and its supply chain evolves to a lower carbon future. The Chamber is also working with Zero Waste Scotland to create real traction around the circular economy concept. The North-east already has significant strengths in the quality of its built and natural environment, global connections to key markets and we are in the midst of our biggest ever programme of infrastructure projects as outlined in our investment tracker. But we can’t rest on our laurels and our future connectivity, both physical and digital, needs to remain a priority – more on that next month. On all of this, the Chamber continues to work with a range of stakeholders to deliver on our policy plan priorities. Bringing to life our commitment to help businesses to be better and create the buoyant, diversified regional economy that will enable our members and their employees to be more successful and prosperous. Unique music theme for CLAN lunch NORTH-EAST charity CLAN has announced plans for a unique music theme for its annual fundraising lunch. The CLAN Jukebox Lunch is the first of its kind and, after enjoying a glass of fizz, guests will be asked to choose their favourite tunes, which will be played throughout the afternoon. The BP sponsored event will take place on Friday, May 10 at the Marcliffe Hotel and Spa. In 2018, the lunch, attended by 200, raised £12,000 for CLAN’s cancer support services. During the afternoon there will be a raffle and auction, live entertainment and a two-course lunch. BP North Sea contract for Subsea 7 SUBSEA 7 SA has been awarded a substantial contract by BP Exploration for the provision of subsea construction, inspection, repair and maintenance services covering BP’s North Sea region portfolio of assets West of Shetland and in the Northern North Sea. Under the terms of the five-year agreement i-Tech Services will provide a life of field support vessel complete with work class and observation class ROVs capable of performing inspection, survey, intervention, light subsea construction and emergency response services. 6. SureVoIP strikes partnership A SCOTTISH technology firm has agreed a new strategic partnership that will provide comprehensive communications solutions to businesses and other users across the UK. SureVoIP is a Software as a Service (SaaS) provider which specialises in using the internet to deliver telecoms – more commonly known as voice-over internet protocol (VoIP). The Aberdeen-based company, which is a network operator with its own equipment in Edinburgh and London, has been selected by state-of-the-art gigabit fibre network provider, Grain Connect Ltd, as its new VoIP partner. In the first five weeks 500 business customers migrated across to the SureVoIP network, increasing the firm’s customer base by 40%. This collaborative approach has resulted in greater performance and reliability for calls and consistently high service delivery for Grain’s clients. $8m contract for Wood WOOD has been awarded an $8m contract by ADNOC Refining to deliver pre-front end engineering and design (pre-FEED) for a new refinery in Ruwais, in the western region of the Emirate of Abu Dhabi, which is set to become the world’s largest refining and petrochemicals complex. The award is for a state-of-the-art refinery with a capacity of 600,000 barrels of crude oil per day. The new refinery will be designed to have full conversion capability and allow integration with existing petrochemicals infrastructure in Ruwais. It’s easy being green IMAGINE a portable garden which waters and feeds itself, which can be changed with the seasons and can be as small as a car parking space or as big as a football pitch. Imagine how, with grass, shrubs and flowers these gardens could transform urban spaces, from city centres to the areas outside offices or even atriums. Aberdeen company Portable Ecosystems has just installed the first prototype of such a garden at the Solway Air Museum in Carlisle. The firm has built the prototype having been awarded £20,000 as a winner of the 2018 Geovation Challenge for companies with ideas for using smart technologies to improve our communities. The challenge was for innovative solutions to make our communities greener, smarter and sustainable. Company founder and director Andrew Sage, who has an IT background, joined forces with his brother Philip, who is from a forestry background, to develop the idea. “Portable Ecosystems is dedicated to improving the quality of life of urban dwellers by creating new green spaces in the heart of our communities,” said Andrew. “This is essential for our future because research has shown that green spaces improve mental and physical health and wellbeing, as well as contributing to improving air quality and providing a vital habitat for pollinating insects. “Rather than the uninspiring planters you sometimes see in city centres these are actual gardens which you can walk on and interact with. They are self-contained so they have their own water and feed unit controlled by our computer technology so they monitor themselves and report back and we can then send someone out to deal with any issue if required.” He explained that the individual units are based on the footprint of a shipping container so they are easily transportable but are designed to enable multiple units to be joined together. “Our thinking is that if, for example, a building is knocked down and it is likely 7.
to be some time before work starts on a new development the derelict land could be temporarily transformed into a green space which people could use. The units are leased so when work is about to start they could be removed and taken elsewhere.” He said they were ideal for creating green spaces in city centres. “Two or three units could be placed outside St Nicholas House, for example, with grass and plants and the units can be changed with each season. They could be installed in office car parks or atriums giving people a pleasant place to sit in spring or summer and there is clear evidence that seeing a bit of garden as opposed to concrete makes people feel better. “There are multiple uses for them. Another possibility is that they could be used as security barriers because once in place they cannot be moved. Now that our prototype is in place we are geared up and ready for our first orders.” The gardens aren’t the only green thinking happening in the Aberdeen City Region. Chris Smith is one of the volunteers who has been working on a series of transformational projects 8. The leader of Aberdeenshire Council, Jim Gifford, said: “The open spaces of Aberdeenshire contribute greatly 9.
confidence in the capabilities of the project leader they are dealing with. RPP is all about identifying those who can achieve success in a complex project, programme and portfolio environment through the management of others. As someone who has gone down both the RPP and ChPP route, I can testify to its recognition of the diverse paths individuals take into the profession having begun my career as an apprentice working for a manufacturer and installer of tanks, vessels and heat exchangers in Motherwell. Meanwhile, as requests for support increases, ECITB is working hard to ensure that its strategy captures all aspects of what industry needs going forward. Collaboration is key: it is imperative that we tackle the common issues together as a community and, as such, our short, medium and long term focus very much aligns with Vision 2035, a joint initiative by the Oil & Gas Authority and Oil & Gas UK which aims to help shape the oil and gas elements of the UK Government’s emerging Industrial Standard. Plastic fantastic EVERY 60 seconds the equivalent of one refuse truck full of plastic waste is being dumped in the world’s oceans, with an estimated 80% coming from land-based sources. While it may be a massive worldwide problem the Mare Nostrum Global Initiative, a not for profit organisation whose founder is based in Aberdeen, believes that the solution lies as much in changing the behaviour of individual communities as in innovation and technological solutions. She said that considerable interest has already been expressed by people from a range of sectors including energy, academia and other not-forprofit organisations and the next stage is to establish a steering committee and then map the plastic footprint of Aberdeen to establish the ‘hot spots’ and where changes can most readily be achieved. That is why Carole Monnier is working to make Aberdeen the first ‘plastic neutral’ city in the UK. “My personal vision is to get close to 100% of plastic staying within the system when right now, depending on where you live, it is something like 6 to 14%. We are in no way saying ‘no more plastic’ because it is ubiquitous, highly useful, has created economy, has created solutions around the way we package food and is very useful. However, we can’t just keep using it and throwing it away. “There is no lack of motivation or lack of passion for change. There are no simple solutions but there 13.
are actions we can take beyond technological innovation. Innovation, technology, policy and the behaviour of responsible citizens - all these pieces have to come together for the whole system shift in the way we need it to.” There are some truly fantastic changes happening when it comes to plastic technology. A former oil worker is transforming the way fresh food is transported and also helping reduce the huge amount of polystyrene currently used in the operation which can be difficult and costly to recycle. Alex Duthie Junior, a mechanical engineer, has been working on the project for five years and gave up his job as a quality consultant 15 months ago to concentrate on the Methlickbased family business ThermaPak. While the unique packaging which has been developed may have other uses, the company is concentrating on the food sector - predominantly fish and meat - and has a growing number of small to medium sized clients around the North and North-east. Alex explained that for around 75 years expandable polystyrene (EPS) has been used to keep products cool during transportation to destinations around the UK and overseas. 14.
moisture resistant outer skin and an independently tested thermal lining. Both are fully recyclable and able to be put in your general plastics recycling bin. “Both are flat packed but can be turned into a sturdy and effective container in seconds or returned to their flat state for easy storage. We also manufacture the bio-degradable gel packs which keep the produce at the right temperature for up to 40 hours. “This is all about sustainability. While polystyrene is 100% recyclable, in some forms it is so expensive to achieve it makes it impractical. “Society is changing and methods of cold chain transportation have to change which is why we have spent so much time finding the right product for the small to medium companies we are working with. “There is tremendous interest in our products and we are looking to expand to meet the demand.” Craig Donoghue, director of One Stop Waste Solutions, believes the responsibility for the cost of disposal of materials should lie with the producer, although he believes legislation may well drive that. “Supermarkets and takeaway shops are quite happy to take in lorryloads of materials and sell to us and then leave us with an end-of-life product packaging - we can’t do anything with. It ends up in general waste or recycling and we then have to pay for that disposal through our local authority. “Much of the ‘recycled’ material which could not be recycled in the UK was being shipped to China, but there has been a major clampdown on contamination and they will now no longer take the bad with the good. This has had a significant effect on the value of recyclables. “Legislation is driving everything away from landfill and there is going to be a ban on black bag general waste in Scotland from January 1, 2021. However, it has been estimated there is a one million tonne gap in capacity in Scotland for landfill which might mean shipping it abroad to waste to energy plants in Europe or landfill in England.” He said a £150m waste to energy plant is to be built in Aberdeen but it is not yet clear if that will be operational by the time the ban is imposed (estimated for completion in 2022). He believes part of the solution lies with a change in attitudes and better planning. One major step would be to make any packaging which comes in contact with food compostable because of the difficulty of cleaning contaminated plastic. 15. How to save £831m MILLENNIALS in Scotland could save a whopping £831m a year by making minor changes to their spending habits, new research from Barclays found. Seven in 10 (69.5%) of millennials in Scotland admit they don’t save enough – or anything at all – with new findings showing that the average 20-37-year-old in the region spends £3,186 a year on takeaways, eating out, daily treats, socialising and buying new clothes. This is slightly less than the UK average of £3,312.72. According to Barclays’ research, millennials in Scotland spend, on average, £766.32 a year on socialising; £739.92 on new clothes, shoes and accessories; £673.80 on eating out; £526.92 on takeaways; and £478.92 a year on daily treats like coffees. Rather than consigning themselves to a life of frugality, Barclays’ research shows that making small ‘sacrifices’. such as replacing every fifth takeaway, shop-bought coffee and night out with free alternatives or having a night in, could save Scottish millennials a hefty £637.17 each a year on average. Energy centre operator for TECA SCOTTISH facilities management firm FES FM has been appointed to operate the energy centre for The Event Complex Aberdeen (TECA) and two on-site hotels, which will showcase renewable technologies contributing to the city’s position as the energy capital of Europe. The multi-million-pound venue will attract increasing numbers of visitors from local, national and international markets due to its capacity for attracting global events. The inclusion of energy centre will mean it will be one of the most sustainable venues of its type in the UK. The energy centre’s combined cooling heat and power (CCHP) facility will use various technologies to provide power, heat and cooling to TECA. At the heart of the CCHP is the largest hydrogen fuel cell installation in the UK. Originally pioneered by organisations such as NASA, fuel cell technology now provides a wellproven commercial heat and power solution, delivering significant air quality improvements over conventional power generation methods. An anaerobic digestion plant will use Aberdeen’s food waste, agricultural crops and waste products to produce renewable biofuel which will also feed into the CHCP. The energy centre has the potential to be expanded to supply sustainable energy to the remainder of the wider masterplan development area and surrounding neighbourhoods. Xodus expands in Perth INTERNATIONAL energy consultancy Xodus Group has grown its team in Perth by almost 50% after a batch of new contract wins in the Asia-Pacific (APAC) region over the last 12 months. The revenue of Xodus’ APAC office increased by more than half and work worth A$1.2m was secured in the first few weeks of 2019. The strong start to the year led to the creation of new jobs with several more additions expected over the next few months. Simon Allison, Xodus’ operations director for the APAC region, said: “Last year was our strongest year since we opened the Perth office in 2012. We have had a very positive start to 2019 which is allowing us to strengthen our team in key areas such as field development, where we are expecting a rise in new projects this year. Watch, share and comment THE Aberdeen Council of Voluntary Organisations (ACVO) has released a collection of short videos on YouTube, where six inspiring social entrepreneurs share their innovative ideas on the theme of health and wellbeing. Filmed at the sold out Enterprising Third Sector conference in October last year, these TED talk style videos cover a variety of different topics including how to reimagine city spaces to be welcoming to all, how to empower clients through employment and how we can improve public transport for those with a dementia diagnosis. Filmed and edited by Station House Media Unit, the videos showcase the expertise and work of a wide range of local and national organisations. Absafe, Inspire, SACRO, Business Pastors, Sheddocksley Baptist Church and Go Upstream all provided speakers. The videos are now available on ACVO’s YouTube channel. Biotech company’s £1.8m grant NOVABIOTICS has secured £1.8m in grant funding as part of a Department of Health and Social Care research competition aimed at tackling antimicrobial resistance in humans. The funding is to further develop Novamycin, NovaBiotics’ first-in-class antifungal compound with potential to combat life threatening and drug resistant blood stream and tissue fungal infections. The project aims to transform Novamycin from an exciting, laboratory-stage antifungal compound to a fully formulated antifungal drug candidate ready for clinical testing. This would represent a potential breakthrough in advancing Novamycin further towards addressing the significant need for new, safe, effective and therapies for life-threatening invasive fungal infections. The grant was made as part of a £10m Small Business Research Initiative competition run by Innovate UK on behalf of DHSC, with the aim of supporting the implementation of the Government’s UK Five Year Antimicrobial Resistance Strategy. Grampian Cycle Partnership launched A NEW collective voice for all those interested in cycling across the North-east has been formally launched. Grampian Cycle Partnership (GCP) is now formally constituted as a voluntary organisation with appointed committee members. This follows on from the event, hosted by Nestrans at Robert Gordon University in September last year, ‘Cycling in the North East – Moving Forward Together’ which brought together almost 200 of the area’s cycling community. Anyone looking to get involved or for more information on the Grampian Cycle Partnership please visit www. grampiancyclepartnership.org or email info@grampiancyclepartnership.org 17.
waste arising through its supply chain from the design and management of its housing stock. The companies involved come from a range of sectors including food processing, construction, waste management and the third sector. “Our progress so far shows the enthusiasm and interest of companies in the area, in particular this is demonstrated in start-ups that are trying to do things in this space. Examples include Origin, a spin out from Robert Gordon University that has developed an innovative new way to recycle plastics to make new products using low cost technology making it accessible to a wide range of organisations,” said Terri. 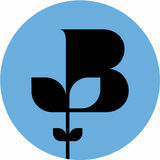 “We have engaged with about 500 stakeholders, including individuals, small and large businesses and community groups. What has touched me most is the level of personal engagement people make with the issue of wastefulness. “People have demonstrated their willingness to adapt when encouraged through the taxing of plastic bags and this trend will continue when other options are opened to them. It is the role of businesses to allow them to make the right choices through the products and services they offer. Some examples of circular initiatives CFINE (Community Food Initiatives North East) is a social enterprise working to improve health, wellbeing and the environment and create employment within disadvantaged communities in North-east Scotland. It operates FareShare Grampian, part of the UK-wide FareShare network, which receives perfectly good, in-date surplus from the food industry that would otherwise go to waste. This is distributed to charities and community organisations who in turn distribute it to those in food poverty. FareShare distributed around 500 tonnes of produce in 2018, saving 2,125 of carbon emissions. The Joint Equipment Centre is a partnership between Aberdeenshire Council and the NHS to share and reuse items such as hoists and specialist equipment. An impressive 42,724 items were delivered in the last year – a tenfold increase on what organisers were expecting. The vision was to rationalise the small equipment stores to enable better management of stock and resources. In the last eight years, the service has delivered £24m with an equipment spend of £3.5m. Located in Inverurie, the centre has helped to stabilise the budget needed to equip Aberdeenshire residents with the important tools and support they need. SEA is committed to adjusting economic, social and environmental behaviours to build a resourceful and sustainable future. To support this goal and to avoid large quantities of fully-functioning equipment simply being disposed of, SEA launched Legacy Locker. An open industry portal for the re-manufacturing, recycling and upcycling of subsea equipment, it is a repository of spare parts that SEA own and hold which can be bought, rented or reused and includes an engineering service to test, refurbish, re-certify or reverseengineer obsolete items owned by SEA or their clients. and health. Interestingly, there is little research on this topic and nobody has examined the causal link. In coauthored research, I find that PRP is correlated with increased injury rates and with poorer health. In addition, I am the lead researcher on a new interdisciplinary ESRC-funded grant that examines whether PRP increases stress by measuring cortisol – the stress hormone. Like any economic activity, PRP generates costs and benefits. The key responsibility for decision makers is to ensure that all costs and benefits are counted. The benefits may outweigh the costs but unless unintended consequences are identified, costs may be underestimated or left unmitigated, possibly leading to poor decisions and lower productivity. John Lawrie Group Dundee expansion METAL recycling, decommissioning and steel tubulars specialist, John Lawrie Group, is set to expand its operations in Scotland after agreeing a multi-million pound deal to develop a new site at the port of Dundee. The Aberdeen-headquartered company has reached an agreement with Forth Ports to establish a new metal recycling and decommissioning base at the port. Both organisations will invest in the project, which will involve an existing two-acre site at the city port being redeveloped to create a new purpose-built concrete pad. The site will support the existing supply chain in Dundee in delivering oil and gas and decommissioning projects in the city. A combined investment of around £5m is being made by both businesses in the development, which covers construction costs, the long-term lease of the site and the purchase of plant and equipment. John Lawrie Group will use the site to dismantle redundant offshore infrastructure brought ashore during oil and gas decommissioning projects and also for metal processing operations. STV’s highly successful Growth Fund, established to make it easier for Scottish businesses to advertise on television, is to double in size to £10m as part of STV’s strategy to help drive the Scottish economy. DEKRA Organisational Reliability, a consultancy with expertise and services in the fields of safety and behavioural change, has confirmed its commitment to a developing Turkish market through the launch of several new services, each designed to create and embed an organisational culture of care within the region. The fund, launched in May last year, has already helped more than 100 businesses to fulfil their growth potential, allocating £3m of television airtime so far. As a part of its continuing global growth strategy, DEKRA has also confirmed renewal of its partnership with Turkishbased health and safety company, Donusen Adam. The aim of the fund is to use television to connect Scottish businesses with their consumers earlier in their business journey, allowing them to capitalise on the connection STV has with consumers as it reaches 87% of all Scots every month. Derek Smith, DEKRA managing director, said: “With over 20 years’ experience in the Turkish market, Donusen Adam’s local pedigree in organisational health and safety transformation projects is second to none. Recognising this, DEKRA chose the company as its strategic partner in the area, back in 2011. “Strategically, this is the ideal time to renew our partnership with Donusen Adam, whilst launching new services to the Turkish market,” he added. value (ÂŁ540m). We await the official figures for 2018 but it looks like they will be broadly in line from the previous year, with some notable increases in prices in mackerel, despite a fall in quota for this species during the same period. The figures also revealed how important this sector is to the people living in the North, as there were more than 2,000 vessels employing 4,800 people, in 2017. There was also significant employment across a variety of other support functions, including ports and harbours, processing and haulage, with the North-east of Scotland and the Shetland Islands responsible for most landings in Scotland. Despite the challenges, the agriculture and fishing communities continue to produce quality food at an affordable price for the UK public. Their ability to adapt and change at a rapid rate to change is well proven and we pride ourselves on playing a vital role in this sector, working with our customers to ensure their continued growth and development. Sustainable sustenance WHO knows exactly what will happen in post-Brexit Britain. Questions have been posed over food standards and supply, with speculation in some quarters over how the Great British menu might change after our exit from the EU. Domestic produce means there will likely be no shortage of eggs or bread in a post-Brexit Britain but with 60% of pork coming from the EU, demand for potatoes exceeding our home-grown supply; and about 400,000 tonnes of fresh tomatoes imported from European countries every year, we may have to be prepared for change. “Whatever challenges arise also create opportunities and you simply have to grasp them.” Louise Urquhart, Louise’s Farm Kitchen 24. One things for sure however, in amongst the challenges there’s also opportunity. Could we use this as a turning point to become more sustainable consumers? Louise Urquhart of Louise’s Farm Kitchen is looking upon Brexit as offering an opportunity, no matter what the outcome. Her successful and growing business which ‘specialises in bringing naturally good food from our farm gate to your dinner plate’ was established out of adversity. “Whatever challenges arise also create opportunities and you simply have to grasp them,” said Louise. She explained that she and her husband Ahren operate his family farm, Milton of Auchinhove, at Lumphanan, near Banchory, and they began their ‘meat box’ business when they required to raise cash after soil health issues arose on land they rented which had an adverse financial impact on their business. “We needed cash flow and diversified,” she said. Now they deliver meat boxes all over the North and North-east and they also provide a hog roast, lamb roast and barbecue service which has taken them as far south as St Andrews and north to Elgin. “Seasonal food is key to any restaurant with customers increasingly demanding fresh local produce and this is a vital part of the food offering at The Silver Darling. “When relaunching the restaurant at the start of last year, we knew it was vital to not only refresh the restaurant with new interiors but also update the food offering in line with current trends and customer demands. provide our mussels, oysters and salmon and I use small local producers to get lobster and crab. THE decommissioning story has been prevalent across the oil and gas industry for over 10 years now yet in the North West European Continental Shelf (NWECS), only 99 decommissioning projects have been completed to date. There are a number of reasons for this, but the biggest is cost. Decommissioning is dead money, which has led operators to defer decommissioning projects for as long as they safely can. However, as rightly stated in a recent Wood Mackenzie article, ‘deferment is not a forever solution’. The decommissioning day will come but ‘when’ exactly we don’t know. To those of us who have started many business cases to support investment in this sector, based on the latest forecast, the experience of delays and deferrals is a shared ‘joy’. Many offshore and onshore facilities are already past their design life so whilst the decommissioning boom continues to be delayed and the need to focus on exploration and production activities is the priority, the industry must still remember the importance of sustaining environmental values and remaining fully committed to doing the right thing. reduce costs and improve productivity to decommission safely and provide environmentally responsible solutions. We need to focus our efforts on strengthening relationships to secure future projects which support maximising economic recovery and maintaining production efficiency as opposed to souring relationships by exhausting cash out of the decommissioning sector. For companies like MSIS, our services primarily tie into the make safe and preparation stage of decommissioning projects. These scopes of work typically require the same skill set whether delivered on a producing asset or those at the end of their life. Therefore, as specialists in that field, with experience of both onshore and offshore decommissioning projects the ability to offer innovative cost saving solutions should come naturally. With only 41 confirmed decommissioning projects in the NWECS in 2019 and another 40 in 2020, unless we see this mindset shift, the decommissioning market will continue to be flat in the short-term and projects will keep deferring. But only time will tell if the industry can effectively change its behaviours. University nurses want to help you be ready to save lives A TEAM of hard-working student nurses from Robert Gordon University’s (RGU) School of Nursing and Midwifery have made it their mission to train the public in CPR, with the hope of doubling survival rates across the country for out-of-hospital cardiac arrest. These efforts are part of a national campaign – Save a Life for Scotland – which aims to equip an additional 500,000 people with CPR skills by 2020. The campaign states that every year over 3,500 people across Scotland are treated by the Ambulance Service after having cardiac arrest, but only around one in 12 will survive. Mark Drummond, one of the nursing students involved in organising the event, said the number of people surviving thanks to CPR is slowly on the rise: “Every week in Scotland, 70 people will have a sudden cardiac arrest – that’s more than a full double-decker bus – and it can happen to anyone, of any age, at any time. On your marks, get set, for Corporate Games NORTH-EAST businesses are being urged to take part in the inaugural Aberdeen Corporate Games, which has been launched by Aberdeen Sports Village (ASV). The games will involve teams competing against each other in a range of sporting events between May and September. ASV has launched the initiative to promote a healthy and active workforce. Research has suggested that promoting health and wellbeing in the workplace could save businesses an estimated £1,600 per year, per employee, with reduced stress, depression and anxiety, less risk of back pain, reduction in sick leave, fewer industrial injuries and a lower staff turnover. The games include a team rowing challenge, table tennis, touch rugby, diving, football and volleyball. Teams taking part will also secure free limited entries to the Simplyhealth Great Aberdeen Run 10k and half marathon with the games culminating in a Highland Games closing ceremony on September 7 with teams taking part in traditional events such as shot putt, tug of war, egg and spoon race; and a team relay. Businesses can enter as many teams as they wish with squad numbers no lower than eight for the larger events for a minimum donation of £1,400 per team. Buchan Alpha at Dales Voe with its 12.5 metre water depth, 127 metre quay and 60 tonnes per square metres capacity heavy lift pad, one of the strongest in the UK. Maintaining the momentum at Lerwick Projects, planning and preparations underpin decommissioning LERWICK Harbour’s position as a leading UK location for the decommissioning of offshore structures for the oil and gas industry is being sustained and advanced across a broad front, from current activity to development of future requirements. in the latest development at the deepwater facility. Leading energy logistics contractor, Peterson, was granted planning permission for the quayside pad last year. Its partner, Veolia, is applying for a Pollution Prevention and Control permit to process materials at the site. “It sometimes seems decommissioning in the UK is treated as the new game in town,” said Captain Calum Grains, chief executive of Lerwick Port Authority. “But it is an industry which values experience and Lerwick provides the track record proving capability and capacity. The Port Authority has been awarded funding by the Scottish Government under its Decommissioning Challenge Fund towards the feasibility study into the concrete pad, measuring approximately 20,000 square metres. Discussions on adding an ultra-deepwater quay at Dales Voe are ongoing between the Port Authority and governments, Highlands and Islands Enterprise, the Oil & Gas Authority and industry to refine the potential into a development. In 2018, a Scottish Government-commissioned feasibility study identified Dales Voe as the optimal location in the UK for such a facility. With the Port Authority’s emphasis on quality performance, late last year Lerwick became one of the first UK 29. THE award of the contract to build and operate the energy from waste plant for Aberdeen City Council, Aberdeenshire Council and Moray Council has been approved by the three local authorities. BUCKET collections at the 2018/19 Qdos pantomimes production, Snow White, raised an incredible £13, 618.46 for The ARCHIE Foundation at Aberdeen Royal Children’s Hospital. A multinational consortium led by global construction company Acciona has been chosen after a two-year procurement process by the NESS Energy Project team. Acciona will lead the project using its own in-house construction skills to build the plant; and experienced waste company Indaver will then operate the plant for a 20-year contract period. Moray Council and Aberdeen City Council members gave their approval at separate meetings on March 4 and Aberdeenshire Council agreed the award and the inter authority agreement which defines how the councils will work together. The councils will continue to work with the contractor towards contract award. The £150m energy from waste plant will take nonrecyclable waste from Aberdeen City, Aberdeenshire, and Moray Councils and burn it cleanly and completely conforming to the latest and known future strict European standards for emissions. The energy produced will be sent to a district heating network. It’s right to scrutinise the performance of the UK Government when it comes to our climate goals but there’s a pragmatic reality to consider too. When it comes to domestic energy consumption in the UK, BEIS figures predict that oil and gas will account for over 70% of energy usage up to 2035 and beyond. Meanwhile, global predictions from the US Energy Information Administration suggest that although we see a sharp rise in renewable energy consumption, petroleum and natural gas will also grow, with both remaining predominate sources of energy in 2040. However, this isn’t a binary choice. Focused support for fossil fuel projects overseas can also deliver material reductions in carbon emissions. The Offshore Cape Three Points (OCTP) project, based in Ghana, is supported by $400m in funding delivered by UKEF. The largest foreign direct investment in Ghana’s history, it allows for gas reserves to be developed which will feed thermal power plants for decades. By displacing the use of heavy fuels with natural gas, the project is expected to deliver a reduction of 1.6m metric tonnes of carbon emissions, the equivalent of 1.2m cars off the road. When firms access finance with the support of UKEF, it acts to anchor supply chains in the UK, ensuring that engineering talent and skill is maintained in the North-east. Through carbon capture projects like ACORN, these same skills will be instrumental in supporting the development of transitional technologies and alternative energy sources. We need to ambitiously move toward a global low-carbon economy, that’s clear, but we can’t lose sight of the critical role which oil and gas will play in getting us there - delivering energy security to billions as we develop sustainable alternatives. UKEF support remains an influential factor which anchors the supply chain in the Aberdeen City Region and the Chamber will continue to argue for export support for the sector as we work towards the opportunities outlined through Vision 2035. SINCE the oil price began its rapid descent in 2014, the subsequent economic downturn suffered in the North-east has been one of the most protracted in our history. Much has been reported about the impact on property and house prices during this time. Our view is that we’re finally turning the corner and starting to see a pick-up in consumer confidence which, we forecast, will be more evident in the second half of this year. The North-east property market needs to be viewed in segments. The overall availability of second hand properties has reduced to around 15% less than it was during the bottom of the downturn. We’re also seeing more buyers coming into the market, due to home buyer needs and market correction since 2014. This is most evident in flatted properties where there continues to be an over-supply. The strongest segment of the market has been in three and smaller four bedroom properties. Land and Buildings Transaction Tax (LBTT) requirements for the higher end of the market are proving to be a barrier and, as a result, we’ve seen the trend towards lower volumes. 32.
having to go to appeal or taking longer, developers are finding it more difficult to invest in Aberdeenshire. This leads me on to the new structure plan for the region where we have concerns over the current imbalance between what is referred to as the Aberdeen housing market (the city and its immediate surrounding areas) and more rural locations. Providing land for residential development in areas where people want to live, not where they are forced to live, is crucial to attracting and retaining people and therefore the overall economic prosperity of our region. Finally, we’re now into stage three of the planning bill in which the industry, obviously, has a very keen interest. There are growing concerns among housebuilders about the many proposed amendments. If it’s going to achieve its aims, it has to ensure that it streamlines, not over complicates, the process. An efficient planning system will ensure that we can unlock Scotland’s economic potential. We must view the planning bill as an opportunity to deliver what’s right for the country in terms of investment and economic development opportunities in the longer-term. Cutting-edge software in place at ARI FRIENDS of Anchor has funded a state-of-theart software upgrade which will improve cancer management for those with breast cancer or suspected tumours. The local charity paid £19,000 for a software licence which allows a new type of advanced 3D scanning to be carried out. The cutting-edge technology is in place within the breast symptomatic department at Aberdeen Royal Infirmary and will benefit around 250 patients a year. The upgrade allows the existing mammography machine within the radiology department to carry out tomosynthesis-guided biopsy; a relatively new, advanced type of mammography, which makes biopsies more accurate and helps to improve cancer detection. Photo by Caroline McClelland 33. The Chamber hosted the first 2019 strategy meeting of the Vanguard volunteers where the groups set out their ambitions for the year ahead. The Leadership business breakfast at Ardoe House Hotel & Spa saw around 100 delegates gather to hear from speakers including Administrate CEO John Peebles and former AFC player John McMaster. Developing the Young Workforce took part in Scotlandâ&#x20AC;&#x2122;s Biggest Parents Evening on March 6, highlighting apprenticeship routes to young people and their parents. managing director, Drummond Finance What does your company do that others don’t? We are an independent firm of commercial brokers, sourcing and securing all types of commercial lending for all sizes of businesses. Unlike the banks, we do not differentiate our service offering by turnover, income, sector or the size of the lend. It’s not so much about doing what others don’t do, as doing what others no longer do. With access to over 150 commercial lenders we believe that the best way to understand and support the growth, ambitions and investment opportunities of local businesses is through traditional face-to-face relationships and meetings. What are the most pressing challenges that your industry sector faces today and why? I worry about the number of local businesses that are not being supported with their lending requests because their bank does not understand what they do. This is exemplified by a situation I learned about recently concerning a local engineering business servicing Christmas trees offshore who required working capital. They called their bank and were directed to a call centre. The call handler believed their business to be a seasonal one and could not understand how the client could work with Christmas trees all year round, especially on oil rigs! do regret the impact that not having that balance right in the past has had on myself and those around me. What is the most valuable piece of business advice you have ever received? Quite simply, trust your instincts. I am a great believer in asking yourself: ‘does it feel right?’ and that ethos also works for me away from the business environment too. What’s been your proudest career achievement to date and why? I get the most pride from when I’ve been able to help support a deal that has created or protected jobs. I recently managed to close out a lend which allowed an SME business to buy their own premises. The client was so happy and grateful – they had not been able to get their bank to support their plans and had, therefore, assumed that the deal could not be done. This will transform and secure a family business, being able to help make that happen makes me proud of what I do. When I start to cast an envious stare towards those of my friends who have already done so. If you could make one thing happen tomorrow that would benefit North-east Scotland, what would it be? What’s the last book you read / film you saw? Without doubt, I would encourage more people and businesses to buy local. SMEs are the lifeblood of our local economies and, while they need to be better supported by the UK, Scottish and local governments, each of us can and should do our bit to support and promote our local businesses. What did you have for breakfast? Cereal, fruit and green tea. Who, or what, inspires you? My kids constantly inspire me with their complete disregard for doubt and a brilliant can-do attitude. I saw Mary Poppins Returns recently and was pleasantly surprised by how much I enjoyed it. Property market maintains momentum as sales break £18bn PROPERTY sales across the Northeast maintained their momentum during the final part of 2018 as the Scottish housing market once again proved its resilience in the face of both domestic and international political issues, with sales breaching the £18bn barrier last year. the cost of a home increase a further 2% year on year to £216,929. The area also enjoyed a 6.7% uplift in the number of properties changing hands and an 8.6% rise in the value properties sold, at £262,100,304. Overall, £860m of property was sold in Aberdeenshire 2018. During a year dominated by Brexit uncertainty, markets across the country remained busy, with the country enjoying its best spell of growth since the financial crash in 2008. Across Scotland as a whole, average prices, sale volumes and overall market values all rose in the last three months of 2018. Overall, the value of property exchanging hands in Scotland during 2018 reached £18,133,170,202, a rise of over £400,000,000 on 2017. After a positive third quarter, where both sale volumes and market values rose, the Granite City did not fair quite as well in the final part of the year with falls across all areas. However, whilst the city saw a 3.7% year on year drop in average prices, December saw it hit £206,499, the highest average price it has seen in 2018. Despite the broader health of the Scottish property market, research conducted by Aberdein Considine has revealed that the lack of clarity on Brexit as well as property tax policies are affecting both the levels of confidence among consumers and property buying decisions. A survey of more than 1,000 individuals in Scotland, the biggest since the firm began publishing the Property Monitor at the start of 2017, found that 50% of those asked said 39. Excellent #AGCCbreakfast this morning - ‘Leadership in Disruptive Times’ Mattresses, elevators, winning mentalities, humility, people... Great to pick up a copy of #AbzolutelyProud - Aberdeen has been a fantastic place for me to live & work for the past 6 years, & counting! A SCORCHING summer and increased exports has helped Mackie’s of Scotland achieve record revenues and profits from ice cream sales in 2018. The company has reported an annual turnover of £13.9m and gross profit exceeding £1.3m for the financial year ending May 2018. Turnover was up 13% on the previous year thanks in part to boosted ice cream sales in supermarkets across the UK, increasing sales in the Far East, the addition of a range of chocolate bars and revenue from production of renewable energy on the Mackie’s farm. Mackie’s enjoyed record-breaking sales in 2018, with £12.4m turnover for ice cream and chocolate. Its export sales to markets in the Far East soared by 182% to £1.1m - now contributing 8% to Mackie’s total turnover thanks to continuing demand for Mackie’s ice cream and the additional export of Mackie’s chocolate. Really interesting event for #shireconnections about creative industries with great presentations from @TheBarnArts @vanillainkUK @chambertalk @Aberdeenshire So many inspiring things happening. Join the conversation @chambertalk 40.
distinctive label with its white tick on a blue background identifying the provenance of the produce to consumers. Yes, that’s the same cod which appeared in headlines just a few years ago because there were apparently only 100 left in the North Sea! In the shellfish sector, king scallops and brown crab from inshore waters around Shetland are also MSCcertified. These achievements were driven by and secured by the industry. When we leave the EU we will become an ‘independent coastal state’. The industry believes that sovereign control of some of the richest fishing grounds in the world will lead to improved management of stocks, more accurate and robust scientific assessments and much closer collaboration between independent scientists and industry operatives. A key feature of visits to Norway and Iceland by Scottish industry representatives in 2017 was learning about the systems deployed to ensure and improve sustainability in those major fishing nations. While different, both systems are superior to that of the Common Fisheries Policy, and the UK and Scotland will look to the East and to the North-west as they seek to build a new sustainability framework. But the real prize of sovereignty over our own natural resources will be the uplift in the UK’s share of the catches. Under the present CFP arrangements we get 40% of the seafood resource, with 60% going to non-UK EU fleets. The keep figures in Iceland and Norway are 90% and 85%. When we leave the EU we will be able to move away from the absurdity of our present fishing opportunity. The UK ‘first sale on landing’ revenue is close to £1bn, so the extra economic opportunity is obvious. A study in mid-2018 by Scottish Government estimated an extra £540m and 5,000 FTE jobs for Scotland. A significant amount of this will come to the North-east where the heavyweight end of the UK industry resides. This ‘sea of opportunity’, if properly prepared for, will lift us into the world sustainable seafood stage, potentially overtaking Iceland in volume and value of international trade. Sure, there will be challenges but let’s keep our eyes up, focused on the prize. Property Network The property sector network is a quarterly event series open to Chamber member organisations active in the North-east property sector. This month’s network meeting includes influential property speakers from Aurora Planning, Aberdeen Inspired and the Chamber. Business Breakfast: Spring into Sustainability We are delighted to announce that Michaela Strachan BAFTA award-winning wildlife presenter will be in Aberdeen at this breakfast on 18th April. She has been a regular face on our screens for over three decades. Michaela has fronted The Really Wild Show, Orangutan Diaries, Elephant Diaries, Shark Encounters, Orangutan Rescue and spent 10 years as a host on Countryfile. More recently, she is best-known as a co-presenter of Springwatch, Autumnwatch and Winterwatch on BBC2. Come along to hear her views on sustainability and the environment. Premier Partner Informal Networking Event An exclusinve premier partner event at one of Aberdeen’s iconic venues, His Majesty’s Theatre including a behind the scenes tour of the 113 year old Edwardian theatre. Maximise Your Membership This event is ideal if you’re thinking of joining the Chamber, have just joined or are new to a member organisation and want to find out more about the benfits available to you. Speed Networking Kick start your day with this face paced and exciting Speed Networking session. Leave feeling empowered and ready to tackle the day with new contacts and strengthened relationships. Brexit Business Breakfast Domestic produce means there will likely be no shortage of eggs or bread in a post-Brexit Britain but with 60% of pork coming from the EU, demand for potatoes exceeding our home-grown supply; and about 400,000 tonnes of fresh tomatoes imported from European countries every year, how your great British breakfast looks is an interesting illustration of how the UK’s wider economy may also change. We Mean Business - Gender Expression in the Workplace Allow Rikki Arundel, author and inspirational speaker, to highlight how your organisation can benefit from embracing diversity and help create a fairer world in which every person’s gender, gender identity, gender expression and sexual orientation are accepted and respected. Hear how Charlie Craggs, trans activist and author, is tackling transphobia fabulously, through education and empowerment. In unveiling her journey she will talk about Nail It, the pop-up manicure station nailing transphobia, and reveal why the lobster emoji is so important. The TUBS Business Breakfast This breakfast will focus on the importance of a strong brand in today’s competive marketplace and launches The Ultimate Business Show. Hear from Ed Brooke of The Leith Agency, the brand makers behind Irn Bru and CalMac. Leading the way since 1974 Print Signage Exhibitions & display Promotional gifts www.compassprint.co.uk I 01224 875987 I e: info@compassprint.co.uk 43. David Lloyd Clubs has appointed Morgan Cooper as sales and marketing manager. Morgan brings more than 15 years of experience working in business development, has a strong passion for fitness and wellbeing and will play a key part in delivering the ambitious growth plans of the club. Caroline Walker Property Leasing has opened in Aberdeen. Caroline has over 30 years of experience working in the hospitality and hotel sector and rental and leasing industry. She has worked in locations throughout the UK and returned home to Aberdeen to launch her career within a leading leasing company where she developed her knowledge and skills. Aberdeen personnel specialist, Prodrill, has strengthened its team with the appointment of recruiter Alan Golightly to support the growth and realignment across the business’s technical recruitment division. Alan joins as senior resource specialist, supporting client operations manager, Drew Alexander, enhancing the company’s technical recruitment offering. Graham Smith has joined Scott James Wealth Management, a representative of St James’s Place Wealth Management on Queen’s Road. Graham has a wealth of expertise in retirement planning, investment planning, protection, estate and tax planning following a career spanning nearly 30 years in the financial services sector, largely in the central belt. Jelf, adviser in insurance, risk management and employee benefits, has announced a new leadership team in Aberdeen as part of growth plans in the North-east of Scotland. The team is led by branch director Graeme Cant. He is joined by client services director Pam Mackintosh, formerly a team manager with Marsh and Darren James, who was recently promoted to business development director. Each has over 30 years of experience in the insurance sector. Around 60 staff are based in the Westhill office which formerly operated as Central Insurance Services (CIS). Aberdeen Sports Village (ASV) has boosted its board with the appointment of non-executive directors Sheila Graham and Bob Ruddiman. Sheila, commercial leader at Shell’s global upstream operated business, has more than 25 years’ international experience across a variety of senior roles in oil and gas businesses. Bob Ruddiman, global head of oil and gas at Pinsent Masons, is a sporting enthusiast who enjoys running, cycling, golfing, rugby, skiing and hillwalking. He has been involved in ASV since the outset and his passion for sport continues through his family, who participate in various sporting activities at ASV. Recruitment Challenges Solved RECRUITMENT 44. John Robertson has moved within the Nucore Group from Dubai to join Oteac, the international service company specialising in fire and gas detection as well as security solutions, as offshore development manager. Headquartered in Aberdeen, John has more than 40 years’ experience in the fire and security industry. OPITO, the global, notfor-profit skills body for the energy industry, has appointed Stuart Clow as director with a remit focused on supporting industry safety through high-quality training and competency standards. Stuart has more than 30 years’ experience in the oil and gas industry. Robbie Hedderman has been appointed business development manager for the Aberdeen Football Club Community Trust ahead of AFC’s move to Kingsford. He is a former youth player and also brings experience working in finance as part of a hedge fund administration company. The managing director of CALA Homes (North), Mike Naysmith, has been appointed to the board of Homes for Scotland. Mike has more than 20 years of property and construction experience to and will help the organisation support more than 200 companies involved in growing Scotland’s housebuilding industry. Aberdeen Cooling Solutions has appointed Calum Wilson as air conditioning and refrigeration engineer and Michael Eaton as air conditioning and refrigeration apprentice to help meet demand for its services. The company, which expects to hire a further two engineers and potentially another apprentice by the end of this year, is led by managing director Ryan Pirie. Albyn Architects, set up last year as a new partnership between the owners of two Aberdeen architectural businesses, has added to its team by bringing in Caroline McBain as an associate architect. The appointment is in response to a number of new contract wins since the company was formed. Law At Work, the employment law, HR and health and safety specialists, has appointed Sarah Liversidge to the new role of health and safety manager in Aberdeen. Sarah, who previously spent eight years as an inspector with the Health and Safety Executive, joins following a number of new client wins and a 40% increase in work across 2018. Are you the next Northern Star?